This is my All People Quilt UFO Challenge list. It's the first year I'm participating and I look forward to making progress (and hopefully finishing) each of these quilts as I work on them throughout the year. The fun of the challenge is that you don't know in advance which quilt you'll be working on. On the first of the month, APQ let's us know which project number to work on. January's pick is #6. For me that is my Color Strata quilt from a class with Rob Appell last January. This was actually the first quilting class I ever took (after 14 years of quilting) and I love the bold color. I'm even more excited about the bright blue that will be added as the background. I finished sewing all my stratas in class. 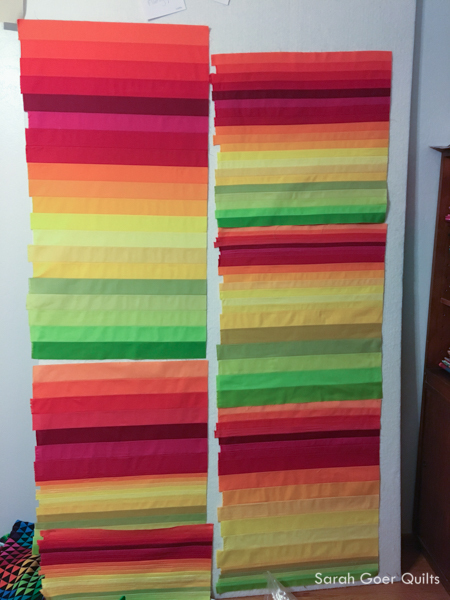 These are made from a full Kona jelly roll and cover most of a 4' x 8' design wall. My next step is to decide what widths I'll be cutting these stratas into and playing on the design wall to decide how I'll piece the strips back together as well as the final layout of the quilt. I've decided for 2017 I'll participate in One Monthly Goal with Elm Street Quilts. 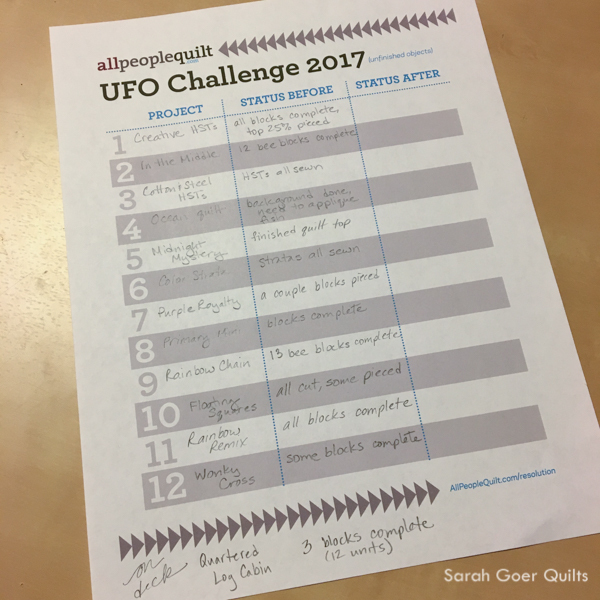 My friend Mary linked up in 2016 and I think the UFO Challenge will pair up nicely with One Monthly Goal. I have a hard time focusing on just one task and APQ is going to help out by telling me what to work on. ;-) That is not to say that I won't also be working on other things... I have two swaps due in February and play to finish two Project Quilting challenge quilts each month in January, February and March. I'm linking up to the OMG January Goal Setting Link Up. 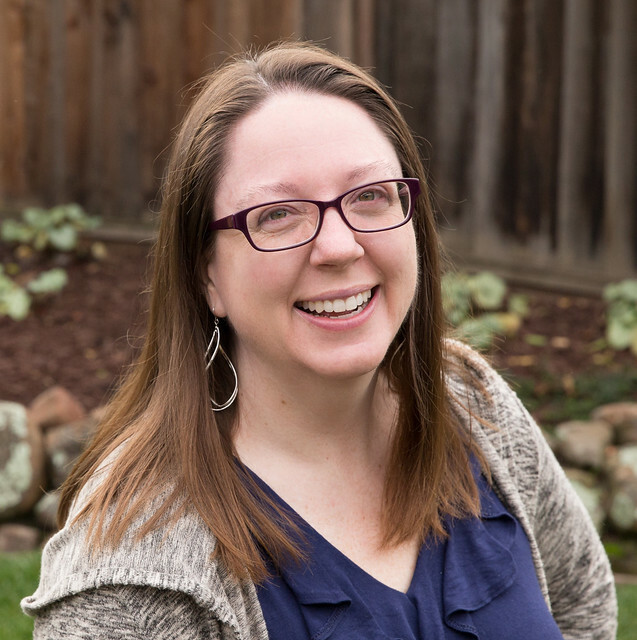 I'm making some changes to the blog, including the addition of a newsletter! Click above to stay in touch and receive color and design inspiration direct to your inbox twice a month! Posted in Quilting. Tags: Color Strata, goals, One Monthly Goal, UFO Challenge, WIP on January 7, 2017 by sarah. I look forward to seeing how this progresses for you. The colors are so great together. Thanks! I should have mentioned. It's Christa Watson's Kona palette. Looking forward to seeing how you arrange your finished quilt top. Thanks for linking up with Elm Street Quilts One Monthly Goal. Thank you, Patty! I'm so glad to be participating. Thank you for hosting! Wow! Those are gorgeous colors! I am excited at the thought of you being able to finish so many projects. I think I need to get on board with this UFO challenge. Any help to get stuff finished.